Hailed as ‘the grooviest band north of the border’ (Live for Live Music), After Funk is one of Toronto’s hottest up and coming bands. Keepin’ the funk alive since late 2011 the group has adapted to the many changing soundscapes of feel good music. After Funk has keeps true to their roots in old school funk while creating something fresh and original for the wide demographic of their audiences. 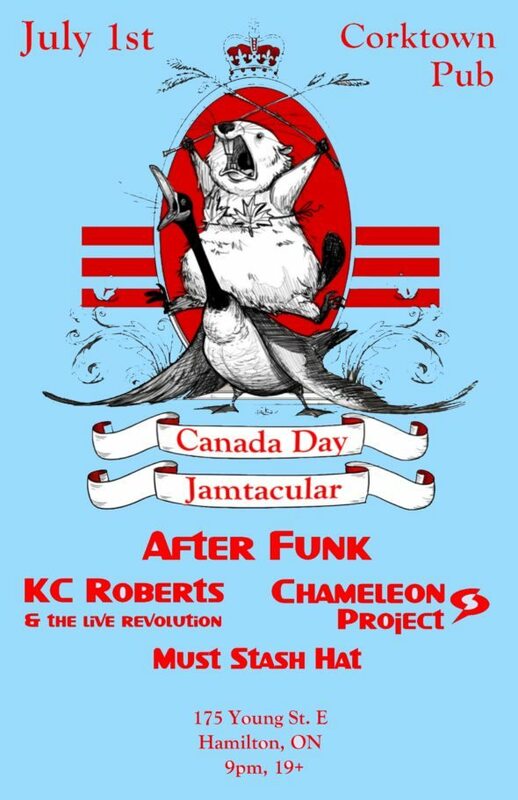 Ain’t no party like an After Funk party. With five albums under their belt, KCLR’s high-energy studio sound undoubtedly captures the buzz created by their live performances. Their latest album, From the North, is part one of a 17-song project recorded live in front of a four-person camera crew. By early 2016, each song on From the North will have its own music video, telling the song’s story through unique art pieces.